Brainwashed - Sarah Davachi, "Let Night Come On Bells End The Day"
Sarah Davachi, "Let Night Come On Bells End The Day"
Sarah Davachi's first album for Sean McCann's Recital Program imprint marks yet another intriguing stage in the evolution of her expanding vision, beautifully blurring the lines between drone, psychedelia, and neo-classical composition. Composed primarily for mellotron and electric organ, Let Night Come On often resembles a time-stretched and hallucinatory re-envisioning of a timeless mass or requiem. There are certainly some nods to Davachi's earlier drone-centered work as well, yet the most stunning pieces feel like achingly gorgeous classical works that wandered into an enchanted mist where time loses all meaning and all notes dissolve into a gently lysergic and lingering haze after being struck. The lovely and elegiac organ reverie of "Garlands" opens the album in deceptively modest fashion, reprising Davachi's (relatively) characteristic aesthetic of dreamily layered sustained tones. It is not quite business as usual, however, as the shifting organ chords lend an almost religious gravitas to the central theme. Also, the woozily twisting nimbus of overtones and harmonics in the periphery seems to subtly billow and intertwine like living wisps of smoke. It is quite a heavenly piece that would have comfortably fit on some of Davachi's earlier releases, yet it is merely a brief introduction here, as the middle section of the album features three considerably more substantial and inventive pieces in a row. "Mordents" is the most unusual of the lot, opening with a simple repeating motif that sounds like a massive glass harmonium being played underwater. That curious and unrecognizable instrumentation remains, yet the piece soon opens up into a bit of a freeform fantasia of slow-moving and intertwining arpeggios. Aside from the oddly submerged textures, it is not a particularly promising opening, as it feels a bit wandering and improvisatory. Soon, however, a droning backdrop of organ creeps into the picture and the piece slowly builds into an epic and delirious swirl of haunting organ harmonies that completely engulf the underlying chord progression. It is quite a masterful sleight of hand, as Davachi organically and sneakily transforms a somewhat structured and conventional neo-classical composition into a gorgeously warm and undulating fog of blurred organ chords and lingering vapor trails of dreamy overtones. The following "At Hand" is yet another gem, unfolding as an angelic haze of floating organ drones and shifting harmonies. Unlike "Mordents," "At Hand" does not undergo any particular transformation, as Davachi is rightly content to just bask in ghostly minimalist heaven for several minutes. More than any other piece on the album, "At Hand" feels like an organ mass, but one that has just been raptured, ascending heavenward as pure light and soul. My favorite piece, however, is the melancholy and piano-centered "Buhrstone," which is how I imagine the next Elodie album would sound if Andrew Chalk were suddenly possessed by Erik Satie's ghost. Like Satie's immortal Gymnopédies, "Buhrstone" unfolds as a languorous and bittersweetly melancholy piano motif, but the real action occurs in the bleary periphery, as a gently hallucinatory mass of flute-like tones undulates and steadily accumulates a complex web of shimmering, haunting harmonies. It is an incredibly lovely piece, made even more so by its subtle transformation from sadness to something approaching ecstasy. The album winds to a close with a bit of a throwback to earlier days, as the lengthy "Hours in the Evening" is a radiant and gently billowing return to minimal drone. Even the moments when Davachi is reprising somewhat comfortable and well-traveled territory conceal a significant evolution, however, as she shows a prodigious talent for subtle dynamic shifts and small details. As a result, even the most static-sounding passages on the album are understatedly vibrant with undulating harmonic transformations, shifting layers of depth, and subtle emotional resonance. Let Night Come On highlights a number of significant aspects of Davachi's career to date (some more obvious than others). For one, she has released such has released such an impressive run of great albums over the last few years that picking a favorite is damn near impossible. This one is certainly a strong contender though, as it features a handful of instant classics. 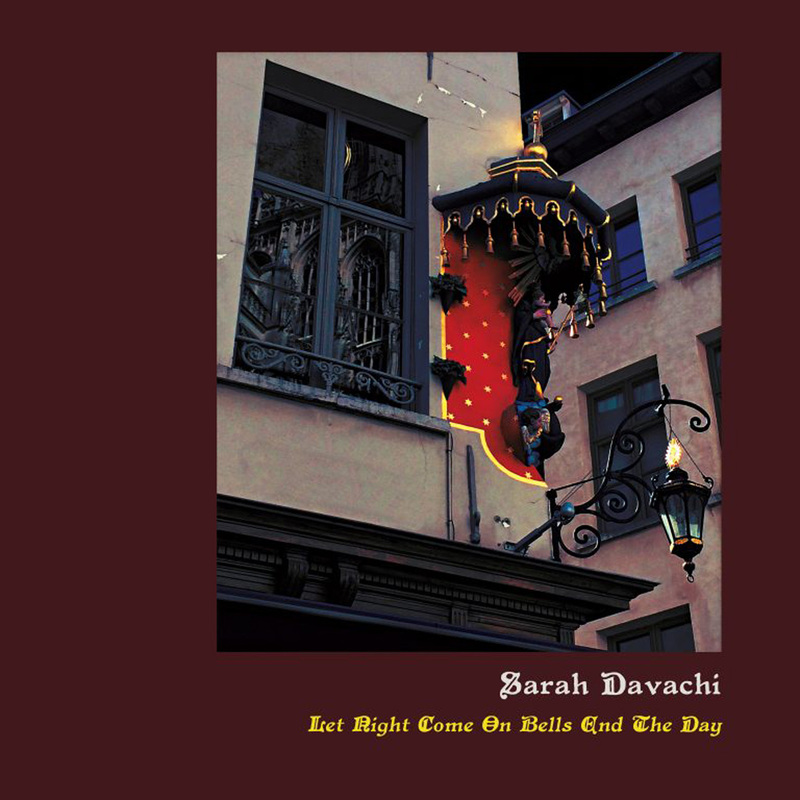 More intriguing, however, is how different some of those albums are from one another, as each new release seems to open up a fresh stylistic vista while remaining distinctively and recognizably "Sarah Davachi." That intuitive gift for retaining a strong identity and coherent vision whether she is composing for unaccompanied voice, piano, vintage synthesizer, or cello is the hallmark of a formidable artist indeed. Similarly, I am struck by how Davachi is able to imbue even a single droning chord with personality and soul. I will never tire of any artist who is able to transcend the constraints of music distilled to its barest, hyper-minimalist essence. Even better, however, are the times when such an artist uses all the tools at their disposal and strains to elevate their work to an entirely new plane. With Night, Davachi achieves that feat repeatedly and in absolutely sublime fashion.